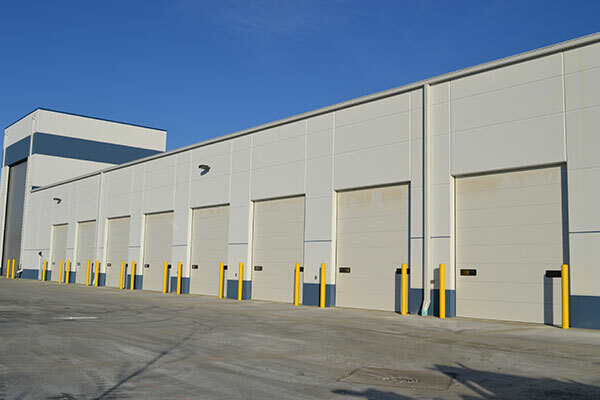 House of Doors has Chicagoland’s most complete and extensive line of commercial sectional doors from our nation’s largest and most respected door manufacturers. 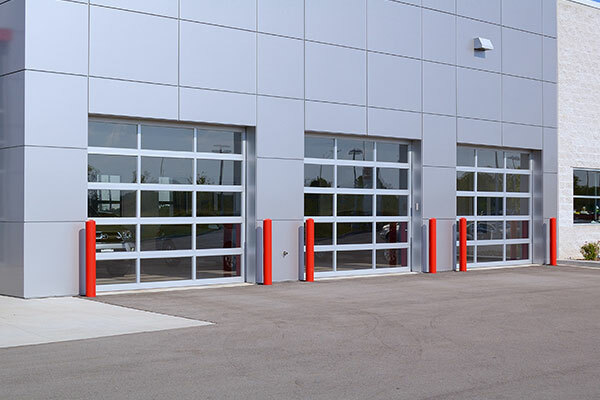 Whether your project is a new automobile agency requiring modern glass and aluminum sectional doors, or a project that requires excellent thermal efficiency, House of Doors is ready to fulfill your requirements. Premium thermal efficiency and low maintenance costs result in a door that costs less to own. Continuous foamed-in-place polyurethane insulation and a non-conductive thermal break between the inner and outer skins combine to provide an R-value of 14.16 to as high as 25.8. 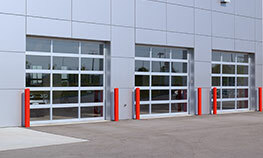 The perfect choice for architectural applications that require bright light, open visibility and a modern, industrial feel, full-view aluminum and glass garage doors are well-suited for restaurants, service stations, car dealerships, fire stations and trendy commercial retail and office spaces. Bottom panel, 24” or 48” high, capable of breaking away inward and outward a full 110 degrees. It is protected from impact, on the interior side and on the exterior side (optional), with a high-density impact resistant plastic facing. 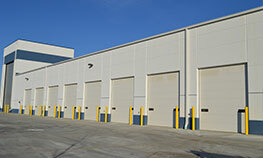 Summer’s heat can often drive you to open your overhead loading dock doors, just to keep your employees comfortable and working. But this also provides an open invitation to every bird, bee, mosquito, and rodent in the vicinity. 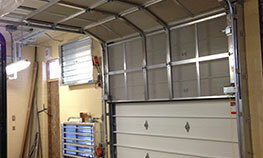 Open dock doors can also lead to the loss of your valuable goods and inventory. 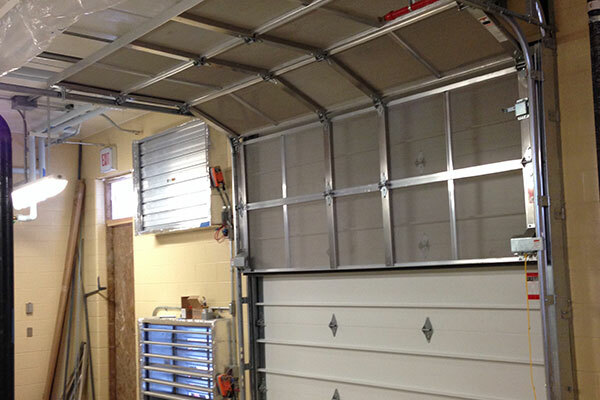 If you need a cost-effective way to add security, pest control, and a rodent and bird barrier, along with ventilation to your facility – consider The Bug Blocker® overhead screen door.